Suzanne Conway was born on September 15, 1932 in Humboldt, Tennessee to Tom and Helen Robinson. She grew up with family in Cleveland, Ohio but returned to Jackson, Tennessee to attend Lane College. While there, she served as Society Editor on the yearbook staff, Chairman of Program Committee with Future Teachers of America, Dean of Pledges in the AKA Sorority, and was a member in the Young Women’s Christian Association. Not surprisingly, Suzanne was voted Most Pleasing Personality and Best Dressed in her class for which she also wrote the Class Song. After graduation, Suzanne embarked upon a long and fruitful career in education in Tacoma, WA. She taught Science at Baker Junior High School and then became a counselor at Lincoln High School and Wilson High School, where she retired as Department Chair. Suzanne raised her three children, Angela Tuggle (deceased), Sharon Tuggle, and Laurie Tuggle from her first marriage with Dewey Tuggle, Jr. (deceased). In 1991, she met and married the man of her dreams, Leon Conway, Jr. They often spent their time studying the Bible, visiting with friends and family, laughing and enjoying each other and were rarely apart until Suzanne’s passing on January 16, 2018. They led a long and happy life together as Elder and Pioneer of the Spanaway Congregation of Jehovah’s Witnesses. No other work was more important to Suzanne than the message of hope she spread with her unyielding service. Suzanne was both an eloquent writer and speaker as evidenced by her many accolades in Toastmasters, but music was her refuge. Suzanne was an excellent cook, a devoted wife, a loving mother and grandmother, a tireless and compassionate teacher and counselor and a friend to many others. What she shared was her joy and her joy remains with us today. 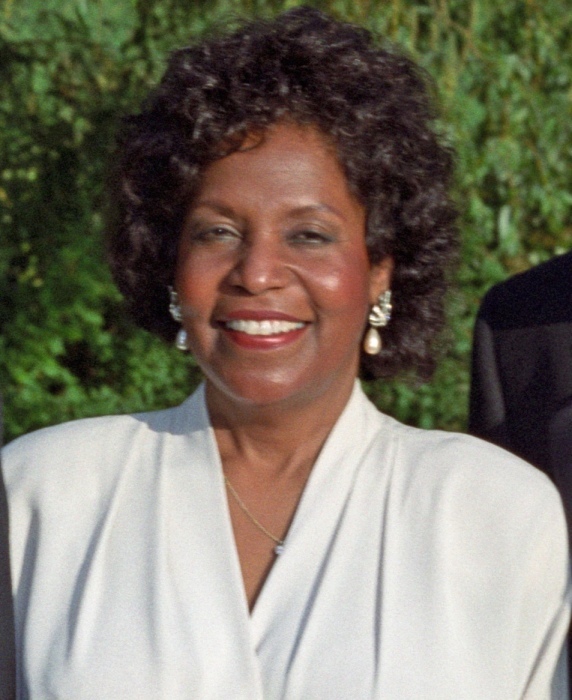 Left to carry on her legacy of love are her husband, Leon, four daughters: Sharon, Channas, Gail, and Laurie, her mother-in-law, Mrs. Florence Motley, four grandsons and one great granddaughter, and her faithful dog, Leone’. A memorial service celebrating Suzanne’s life will be held on Saturday, January 27, at 3pm at the Kingdom Hall of Jehovah’s Witnesses at Spanaway. The family would like to sincerely thank the healthcare team at Madigan Army Medical Center who respectfully provided palliative care for Suzanne and graciously provided comfort to our family. To strike the anvil, and to hold until the triumphant blast. But we will never yield.